Melbourne Band 257 brings together four of Melbourne’s most talented musicians. 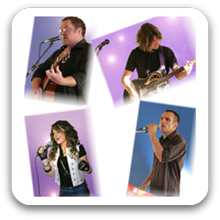 They deliver key elements to maximize a fun musical entertainment experience. Their instinctive ability to interact and entertain and read the needs of an audience comes naturally with years of experience..
Can perform as a: 3, 4 Piece Band and are available to perform in Melbourne and Surrounding Areas.